Famous for its elite châteaux classified in 1855, the Médoc is the source of some of the world’s most expensive wines. Yet this privileged peninsular to the North of Bordeaux is also home to a number of smaller often family-run properties that too benefit from its climate and its soils that are ideal for the production of quality wines. Today there are 700 other producers making rich smooth wines that represent excellent value for money. An American wine importer recently professed that he had stopped selling wines from the Médoc at all. The Grand Cru Classé wines had become too expensive for his customers and he found that in the past the smaller château produced wines that were too tannic and rustic for their taste, taking too long to become ready for drinking (if they ever did). Over the past decade there has been an exponential improvement in the ‘smaller’ wines of the Médoc, today supple, rounded and destined to be consumed earlier. In the past the sign of a good wine was its ageing potential. Today due to an evolution in reasoning and changes made in both the vineyards and in the winery, these wines can be enjoyed young, yet still having the capacity for ageing. This shift has occurred throughout the Bordeaux wine region but it has had its most significant effect in the Médoc due to the challenges of ripening the late Cabernet Sauvignon grape in the temperate climate. What makes the Médoc so sought after for wine production? 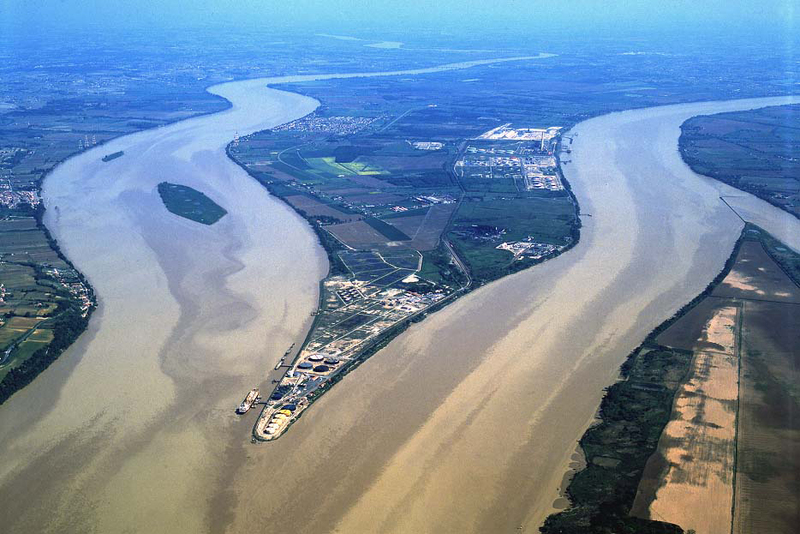 The word Médoc comes from the Latin ‘inmédio-aquae’ which means ‘in the middle of the waters’. It is a peninsula that stretches over 100 kilometers to the North of Bordeaux forming a thin triangle with the Cordouan lighthouse marking the very tip of its land mass. It is true that water borders every edge of the Médoc, with the Gironde Estuary to the East and the Atlantic Ocean to its West. At the Bec d’Ambès the Garonne River which comes from the Pyrenees to the South and the Dordogne River from the Massif Central to the East, merge to become the 70 kilometer Gironde Estuary on its way to the Atlantic. These wide muddy waterways are pushed by the force of the ocean and are affected by powerful tides. The Médoc’s proximity to all this water helps to regulate temperatures, reduces frost risk and creates a convectional pull creating constant air movement which helps to aerate the bunches of grapes, reducing the risk of rot in this humid oceanic climate. The region is covered with well-drained gravel soils which heat up during the day and favour the ripening of the late harvesting Cabernet Sauvignon grape, the original variety of the region, the ‘Biturica’ dating back to Celtic times before the Romans. The gravels lie in bands of various depths from 20cm to 3 meters. These soils have perfect natural drainage, are well-aerated, poor in organic matter and in their austerity, are perfect for the production of few but concentrated grapes, essential in quality wine production. The vine’s roots plunge down to reach the water table for a supply of enough, but never too much water, bringing with it nutrients and trace elements. Historically, the Médoc was an isolated forested marshy area devoid of vines until the Middle Ages when vines were planted around the religious priories such as Cantenac and Macau and gravel ‘croupes’ or shallow hills that rose above the marshes were found to be well-suited to vine-growing (and not much else). 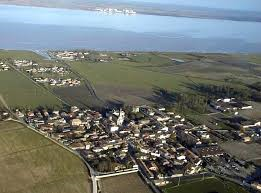 It was not until the 17th century under instruction from Henry IV that the Dutch, with their skills of draining their own low country or Pays Bas, were commissioned to drain the marshland and enabled the expansion of the vineyards in the Médoc. The classification was drawn up following a request from Napoleon III to the Bordeaux Chamber of Commerce to compile a list of the most highly rated wines in 1855 for a display at the Universal Exhibition in Paris. They in turn asked the city’s brokers, who took the recent track record of highest prices. There was already a pattern emerging some years in advance of this. Despite its late start, it was the Médoc that starred in the 1855 classification having the most highly priced wines at the time. What is the Médoc today? The Medoc is made up of 16,000 hectares which is divided into 8 appellations, some of the most famous in the world. There are two general appellations that divide the area Haut Médoc (to the south) and the Médoc (to the north. These two appellations represent 63% of the total hectarage. There are in addition 6 village appellations from North to South; Margaux, the lesser-known Listrac and Moulis (to its North West), then St Julien, Pauillac and St Estèphe. There are a total number of 750 or so independent wine producers in the eight different appellations. Only 8% were classified in the 1855 classification, a total of 60 properties in which turned out to be a genius marketing coup. They are the elite and are known throughout the world. That leaves just under 700 or so independent wine producers to differentiate themselves. 35% of these are classified as Cru Bourgeois, another classification which began in 1932. This system has been completely overhauled in the 2000s and represents a reliable indication of superior quality in the Médoc of the smaller properties indicated by the traceable hologram on its label. In 2010 there were 260 properties over 4400 ha (27%) representing a volume of 38% of the wine production in the Médoc. (In addition there are 44 (6%) Cru Artisan producers, a new category that started in 2006 to promote the very small wine producer). We are each finding our own place on the market rather than being ‘alternative’. The company employs 70 people and sells 100% of their wine direct rather than passing via the traditional merchant route. ‘This gives us a valuable direct contact with consumers of our wines in the different markets and the feedback cannot be helped but be reintegrated into what we do. It is certain that the wines produced today are more approachable ‘but always staying in the Médoc style’ with on average of around 60% Cabernet Sauvignon in the blend at Patache d’Aux for example.’ As most producers in the Médoc appellation, the grapes are harvested by machine. ‘We have an economic approach to our work to keep costs down to be able to represent good value for money on the market but it is important that each of our properties reflect their particular terroir.’ Half of their wine is exported to around 30 different countries and half is destined for France. Three quarters of all producers are located in the general Médoc and Haut Médoc appellations, though many are close to, or neighbours, to famous classified growths. It is a question of boundaries says Jean-Pierre Marie of Château Cambon La Pelouse, Haut-Médoc, Cru Bourgeois. His property is situated just off the D2 ‘Route de Châteaux’ in the small ‘Margaux’ village of Macau sandwiched between Cantemerle (Haut Médoc) and Giscours (Margaux), two well-known classified growths. Jean-Pierre Marie does not claim to have identical soils but his vineyards do touch. 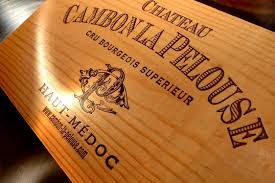 His wine Cambon La Pelouse is Haut Médoc the appellation of which covers around 4500 hectares over a large area. A hectare of appellation (not classified) Margaux sells for around 1 million Euro, Haut Médoc sells for ten times less, at 100,000 Euro. 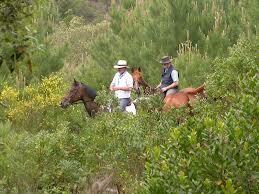 He bought the 38 hectare property in 1996 and extensively replanted and built the winery. Today his wine is one of the most well-known Haut-Médoc and he employs 20 people. Probably one of the most successful ‘smaller’ producers is the Dubosq family who run the 70 hectare Château Haut-Marbuzet in St Estèphe. Sandwiched in between two giants owned by very rich newcomers, Cos d’Estournel and Montrose both second growths in the 1855 classification, the estate’s wines are world-renowned for their silkiness and opulence, rather different from the appellation’s traditional image. Although selling for a fraction of the price, the soils are similar to its illustrious neighbours, the grapes are hand-picked and aged in 100% new oak barrels from a selection of France’s forests. No flying winemakers here, Bruno and Hughes Dubosq work with their father Henri who makes the wine, to continue the family tradition where passion and hard work reign. It was their grandfather, Hervé who in the 1950s, pieced together tiny plots of vineyards and started establishing the name that is today so well-known. It could be a story rather like David and Goliath but the Dubosq family follow their own path and it seems to be working. Neither classified and no longer choosing to be part of the new single level Cru Bourgeois classification (they were originally Cru Bourgeois Exceptional), they have over 20,000 private clients who buy their wines regularly (also Château Mac Carthy, Château Chambert du Marbuzet) and export Haut Marbuzet around the world. In response to the need for more supple, accessible wines, some producers in the Médoc have increased the percentage of Merlot in their vineyards substantially. Many value the nobility of the Cabernet Sauvignon grape that differentiates their wines from the volume of predominantly Merlot blends found in the rest of Bordeaux and feel this is not the way to go. ‘I am a defender of the Cabernet Sauvignon grape, it is what is typical of our terroir, ‘ claims Pascal Bosq who represents the 5th generation of his family to run Château Lounier a 40 hectare Cru Bourgeois property in Listrac. ‘You need to know how to treat it, to be patient and wait for it to ripen. For sure mistakes were made in the past, Cabernet was planted in soils more suited to Merlot because they were less frost-prone areas. As vineyards have expanded in size we can be choosier as to where we plant our Cabernet.’ His vineyards are planted with 50% Cabernet Sauvignon 40% Merlot and 10% Petit Verdot. He is also a fanatic of the very late ripening Petit Verdot and produces a 100% varietal wine ‘Cuvée Pierre’ in good vintages in homage to his late father. He has another property, 15 hectare Château Cantegric Haut-Médoc, which has more Merlot in the blend, 50% Merlot and 50% Cabernet Sauvignon. ‘Now we have mastered the ‘savoir-faire’, what we could benefit from is a decent communication budget to ‘faire savoir’ for our wines to become better known. He admits that ‘Listrac suffers from a lack of notoriety having no Grand Cru Classés. I believe we missed an opportunity when Edmond Rothschild (of Lafite) bought Château Clarke in 1973. We as an appellation could have embraced this better at the time to help the renown of Listrac’. Moulis wine producer François Bernard and his son Jonathan run Château Lestage-Darquier, a 10 hectare vineyard which is situated to the west of the gravel plateau of Grand Poujeaux. This is some of Moulis’ finest terroir and is located next to the appellation’s most famous property Château Chasse Spleen. Its clay limestone soils enables a relatively high percentage of Merlot to be grown – 43% Merlot but the predominance is always Cabernet Sauvignon with 55% in the blend and 2% Cabernet Franc. ‘One must always stay within the Médoc style’ François Bernard feels. Despite having no Cru Classé properties, a number of famous family properties help the image of Moulis such as Chasse Spleen, Poujeaux, Biston Brillette and the Sartorius-Barton family (of Léoville-Barton) are moving into Moulis’ Château Mauvesin. Bernard Lartigue built up his domain Château Mayne Lalande starting with one hectare in 1982. Today he has 20 hectares, located in no less than 48 different plots, and a successful bed and breakfast business in a beautiful peaceful setting on the edge of the woods in Listrac (www.lescinqsens-bordeaux.com). Lying 30 kilometers from the Atlantic and a stone’s throw from the Gironde the grapes ripen in a temperate climate, ‘the wines’ he says, ‘should never be excessive’ and aged with a delicate use of oak. He believes in authentic wines. The concentration of ripe Cabernet Sauvignon in his wines (50% of the blend usually) brings an elegance, finesse and balance to the wine which is he believes is unique to the Médoc region. Merlot should be picked not too late, to add a fresh juiciness. Today there seems to be a precision and refinement in growing grapes and making wines previously only mastered by the Grand Cru Classé and now understood and increasingly practiced by many smaller producers. Serge Barbarin explains, ‘Since the 1980s there has been a steady evolution in the understanding of winemaking. Over the past ten years there has been an increased awareness, a consciousness of the effects of what we do on the environment at large. There has been a greater understanding of the environment of the vine, which lives in the same soil for decades. Soil analysis has helped the understanding of how the vine nourishes itself, its need for nutrients and resources throughout its life, its actual need for water to produce quality grapes. The understanding of biodiversity with the encouragement of beneficial insects and the enabling of the plant to protect itself with its immune system working efficiently also plays a role. There is an increased focus on preventative rather than curative ‘medicine’, reducing chemical inputs by searching for alternatives such as cultivating and spraying when necessary, only at moments of high disease risk. Today grapes are harvested riper, with a regular degree of alcohol of 12.5°C minimum. The moment to harvest is a decision that is today decided by analysis, much tasting in the vineyards and moreover by intuition in each of the different plots to find the best compromise between technological (balance between the sugar level and acidity in the grape) and phenolic ripeness in the skins of the grape. In the past the moment of harvest was decided by the analysis of sugar content in the grapes to see if the alcoholic degree would be attained!